Dale Jarrett was the 1999 NASCAR Cup champion and one of the founding drivers of the NASCAR Nationwide Series. 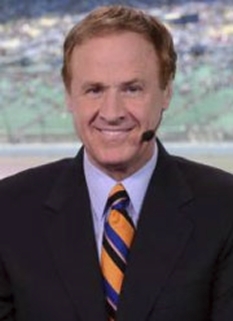 He has 32 NASCAR Sprint Cup and 11 NASCAR Nationwide Series wins. Jarrett got a late start in racing, according to today’s standards. When he began racing at the age of 20, he quickly proved to be a threat behind the wheel. A talented high school athlete, Jarrett was offered a golf scholarship to the University of South Carolina, but chose the path of his father, two-time NASCAR champion Ned Jarrett, as a NASCAR driver. Jarrett first got behind the wheel at Hickory Motor Speedway and in a few short years was on his way to the top. 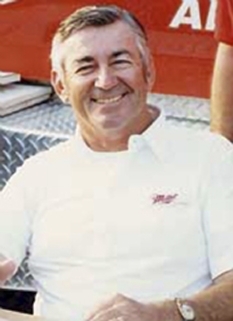 In 1982, Jarrett became one of the charter drivers of the new NASCAR Nationwide (formerly Busch) Series by competing all season in the new series and finishing sixth in points. In 1984, while still a fulltime Nationwide Series driver, Jarrett made his NASCAR Cup debut at Martinsville Speedway and finished 14th. Jarrett got his first career Nationwide Series win in August 1986 at the Orange County Speedway in Rougemont, N.C. He ran his last full NASCAR Nationwide Series season in 1987 and in the same year, participated in 24 of 29 NASCAR Cup races. 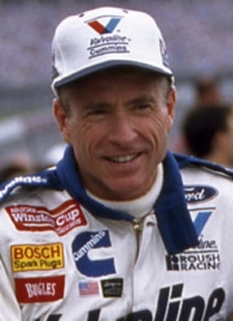 Jarrett won his first Daytona 500 in 1993, his second in 1996 and his third in 2000. 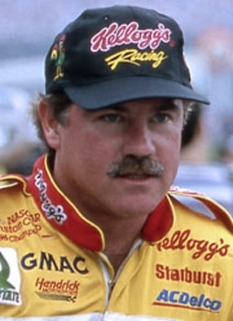 In 1997, he won a personal-best seven races and finished second in the Cup standings. 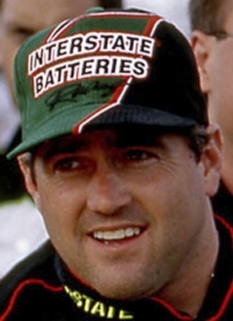 He won his first NASCAR Cup title in 1999. 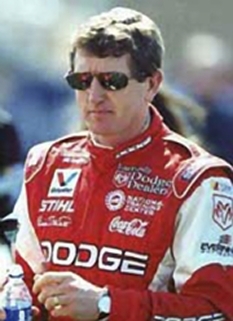 From 1996 to 2001, Jarrett finished in the top five in points and was ninth in 2002. He had four wins each at Daytona and Michigan, and his three victories in the Daytona 500 ties him for third all-time with Bobby Allison and Jeff Gordon. DISCLAIMER: PFP Sports Talent Agency does not claim to represent itself as the exclusive agent for Dale Jarrett. PFP Sports Talent Agency is a booking agency that represents organizations seeking to hire pro athletes and sports personalities such as Dale Jarrett for speaking engagements, personal appearances, product endorsements and corporate entertainment. Fees on this website are estimates and are intended only as a guideline. Exact fees are determined by a number of factors, including the location of event, the talent’s schedule, requested duties and supply and demand. PFP Sports Talent Agency makes no guarantees to the accuracy of information found on this website and does not warrant that any information or representations contained on this website will be accurate or free from errors. We are often asked how can I find out who is Dale Jarrett's agent? 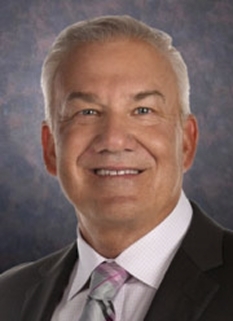 To find Dale Jarrett appearance fees and booking agent details, you can contact the agent, representative or manager through PFP Sports Talent Agency for speaking fee costs and availability. PFP Sports Talent Agency can help your company choose the ideal sports personality for your next marketing campaign. To hire Dale Jarrett for an appearance, speaking event or endorsement, contact Dale Jarrett's booking agent for more information.